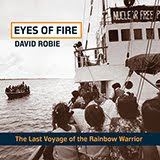 But for me, the most moving message of all came not from those who spoke about “reporting dangerously” (such as Simon Cottle) or the very future of journalism, but from a young quietly spoken Papua New Guinean woman who has “lived” through a freedom of speech and the press struggle while facing live bullets. Emily Matasororo, leader of the Journalism Strand at the University of Papua New Guinea, was on campus that fateful day last month (June 8) when heavily armed PNG police in camouflage fatigues opened fire with tear gas and live rounds on the peaceful students. She was actually in the crowd fired on. 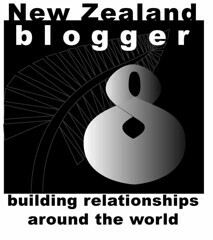 Matasororo gave her testimony at a WJEC16 panel on journalism education in the Pacific chaired by me, with the presence of the panel members being sponsored by the NZ Institute of Pacific Research. 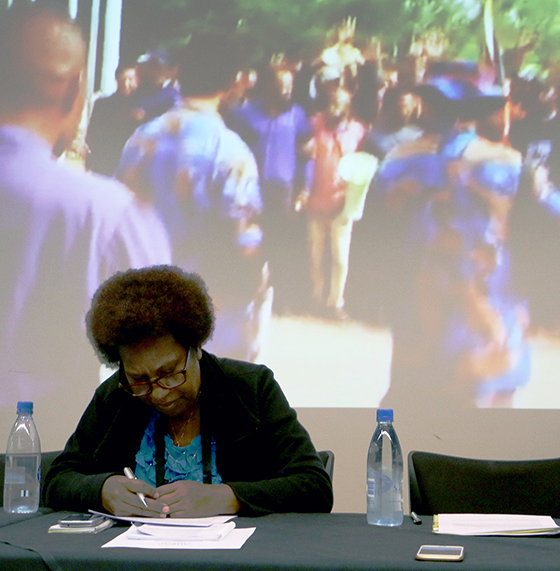 Explaining how the two months of student unrest began across Papua New Guinea’s six universities – but mostly centred on UPNG in the capital of Port Moresby, and the University of Technology in the second city Lae – she said it was an irony that protests were triggered on World Press Freedom Day (May 3). “The Journalism Strand was preparing to celebrate freedom of the press that day. However, this did not eventuate because the academic space was taken up by a student forum. Matasororo said O’Neill had challenged the issue of an arrest warrant against him, saying this case was now before the courts. Under the Papua New Guinea Constitution, O’Neill could be removed by a no-confidence vote, or on criminal charges. But the former option was shut down this week when O’Neill survived a no-confidence vote by 85 to 21 votes. Among other issues that spurred the students into organising class boycotts and protests was the O’Neill government’s actions in dismantling the police fraud squad [National Fraud and Anti-Corruption directorate] – the very office that would investigate the prime minister. But, as Matasororo pointed out, the squad was later reinstated. Another O’Neill move was adjourning Parliament until November to stave off the possibility of the no-confidence vote. (A Supreme Court ruling forced the reconvening of Parliament and the vote). Students became convinced that Prime Minister O’Neill was acting in violation of the Constitution and they saw themselves as defending the rule of law on behalf of all Papua New Guineans. 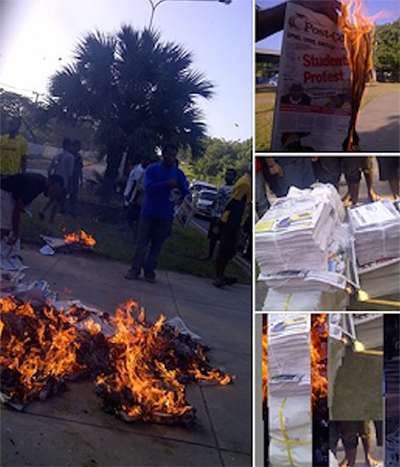 Earlier in the protests students at UPNG had set on fire 800 copies of the two national dailies being sold at the Waigani campus front gates in frustration over what they perceived to be the news media taking sides and promoting the O’Neill government’s agenda. “The burning was an indication that they disliked the papers’ coverage of events leading up the [first] protest. Why should the Student Representative Council go as far as preferring certain media outlets over others?” Matasororo asked the forum which was syndicated globally on livestream. “The Post-Courier, The National and television station EM TV were banned covering student activities on campus. 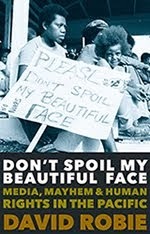 The UPNG is a public and government-run institution and is a public space open to everyone, including the media. If students reacted that way, it brought up issues of credibility and integrity of the freedom of the press in Papua New Guinea. “We saw the newspapers and saw that the reports were very shallow and biased. “They were not actual reports of what we students are portraying at the university. That’s why, to show our frustration, we went out to the bus stop and burnt those papers. “What we displayed in the morning shows that we have no trust in the media,” the student leader stated (sic) said. “While I acknowledge and appreciate the tireless efforts of the media’s coverage of the student protests,' said Matasororo, "for me this is a very strong statement that needs to be investigated. “This needs to be done by all stakeholders concerned to promote fair and just reporting and the essence of good ethics and good journalism. “The stakeholders must include, but not be limited to he following: the publisher and managements of the papers, the Media Council of PNG, Transparency International, Ombudsman Commission and the journalism educators of the UPNG and the Catholic-run Divine Word University. “For the publishers, credibility is questioned; for the Media Council it is a threat against the profession; and for the educators – where are we going wrong in teaching ethics, are we giving enough prominence that it deserves? On June 8, said Matasororo, the protests –until then peaceful – “took an ugly turn”. Several students were wounded, some news reports saying as many as 30. But there were no deaths. “Social media was running hot with images and comments uploaded in real time. Some of what was coming from social media was emotional reporting. “Information was distorted with some news stations reporting casualties. "An Australian-based media outlet reported four deaths and isolated reports on radio, television and social media that day created a new level of fear, confusion and anxiety among residents.